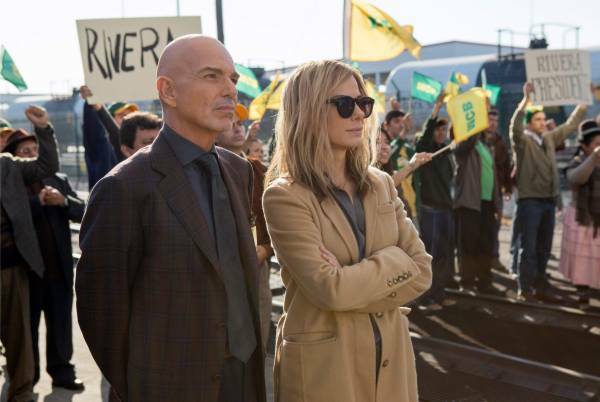 Double Feature Movie Review: "Truth" & "Our Brand Is Crisis"
Jane Bodine, an American political consultant up to her widow’s peak in running campaigns. Jane is out to get a well right-of-center businessman re-elected Bolivia’s president. Earlier on, the current incumbent Bolivian president has brought down Pat Candy — played by Billy Bob Thornton — to keep the socialist leader in office. All of this actually happened in La Paz and on other Bolivian real estate in 2002, although most of the names have been changed … for some reason. Throughout its running time, Crisis wants to know what kind of movie it should be. For the sake of mirth, lame comedy is employed throughout about the first three-fifths of the picture. It didn’t affect any of us in the row I was sitting. Just one Nazi joke brought a solitary chuckle from me. The fourth and fifth fifths of Crisis turn the page to action in the streets of La Paz … then a sudden enlightenment that dawns on two of the film’s characters. Those two fifths of Crisis aren’t lame. In fact, the last act pushes forward a solid message, but its substantive point is blunted by the preceding silliness of the many foregoing scenes. 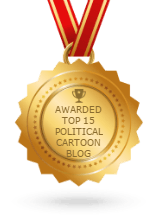 Truth brings an important First Amendment message about how people in exceedingly high places can manipulate what journalists report. This actual event occurred about two years following the Bolivian exercise. The Killian documents controversy is more prominent in our minds. It’s also known by three other labels: Memogate, Rathergate or Rathergate. 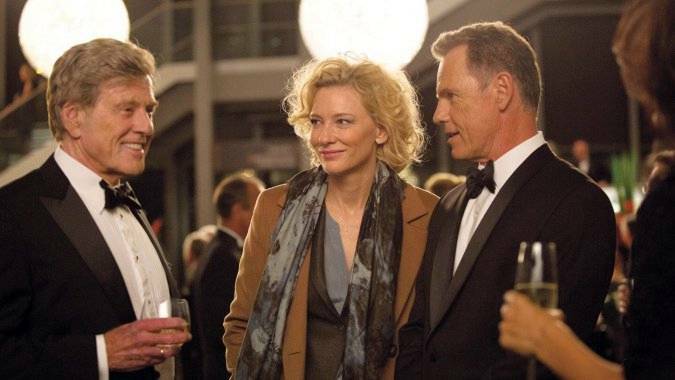 Robert Redford plays Dan Rather, but the film is about a woman named Mary Mapes who was a CBS News producer for The CBS Evening News and 60 Minutes. The amazing Cate Blanchett has the role. Doing the Mapes character, she shines like the sun. It was difficult for another debuting writer/director to bring off this picture, I’m sure. James Vanderbilt had to keep his script deep in the weeds for a good amount time about what happened as the reporting went forward regarding George W. Bush’s service record in the Texas Air National Guard in 1972-73. To keep track of these events, it might seem that a movie patron could be working a complicated math problem. But wait … keep your focus. After pushing through the weeds, Truth just might take your breath away. 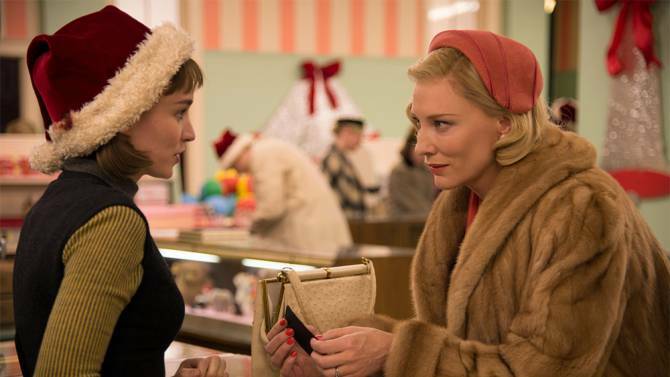 Its pace is swift, conflict steely and Cate Blanchett’s performance sensational. After a few scenes, Robert Redford became Dan Rather for me, even though we’re all familiar with either man, having seen both on big and small screens for decades. Redford slightly adjusts his accent to conform to the Texas-born Rather’s, although I noticed slight fluctuations of Redford’s speech from one scene to the next. Redford’s hair is not darkened to the color of Rather’s, but that doesn’t really get in the way of the film. As it happened, I kept close tabs on this large network news story that proved to have very long legs, so there weren’t any surprises for me, and it wouldn’t be surprising if Truth stirred up more controversy now since everything is so political a full year ahead of the next presidential election. If that happens, let it remind you that after Mary Mapes was terminated from CBS News, she won a Peabody Award for breaking the notorious Abu Ghraib torture and prisoner abuse scandal that involved members of the U-S military in Iraq.